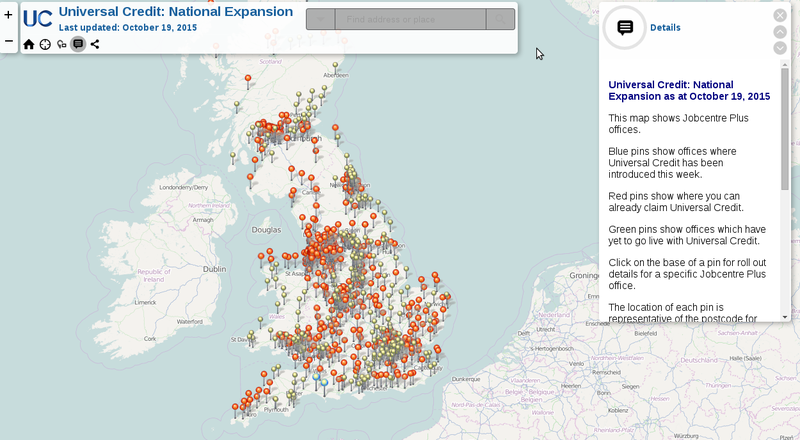 In most areas, Universal Credit is NOT being claimed by families but only by people without dependent children. However, the Government has gradually been adding to the list of JobCentres where FAMILIES MAKING NEW CLAIMS FOR OUT OF WORK BENEFITS will go through Universal Credit instead of Jobseeker’s Allowance. 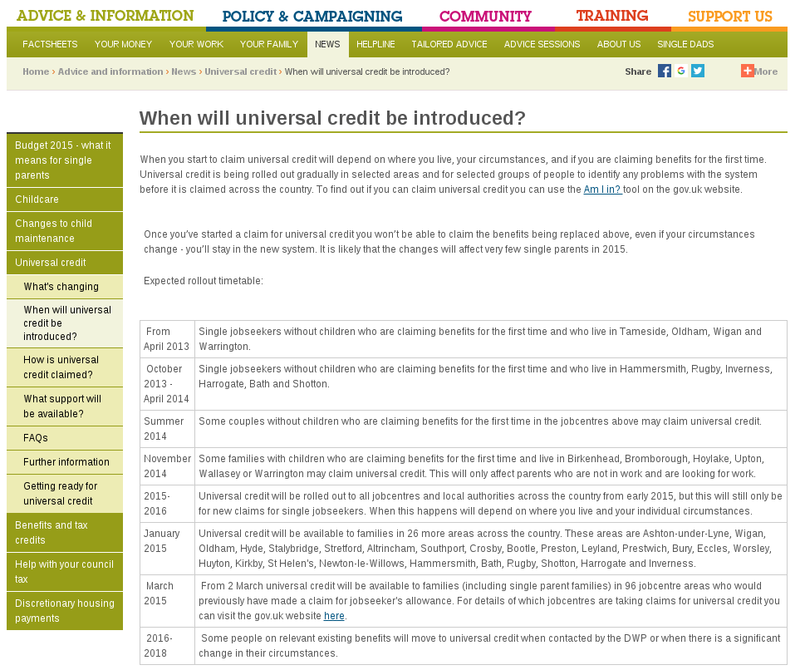 This is limited to JobCentres where Universal Credit was ALREADY being tried out for single claimants AND where families meet additional eligibility conditions. 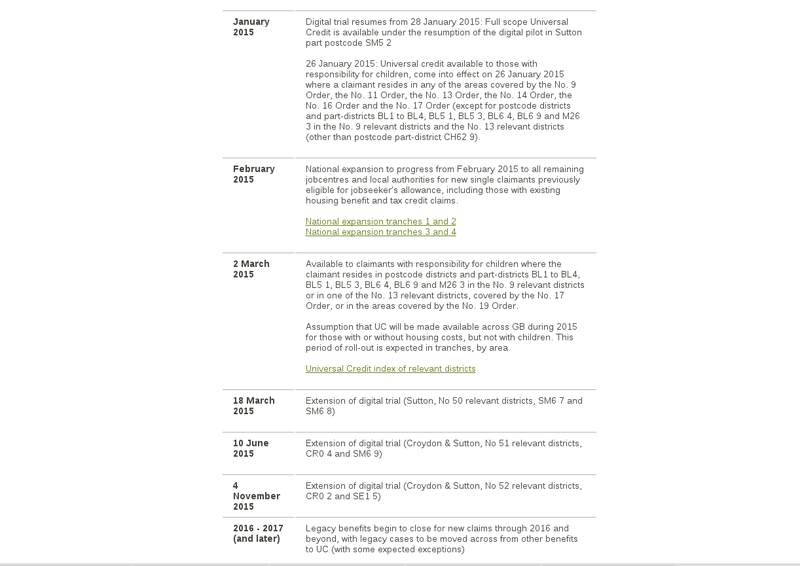 Any NEW JobCentres starting with Universal Credit AFTER February 2015 will NOT take claims for families. “Families” include lone parent households. 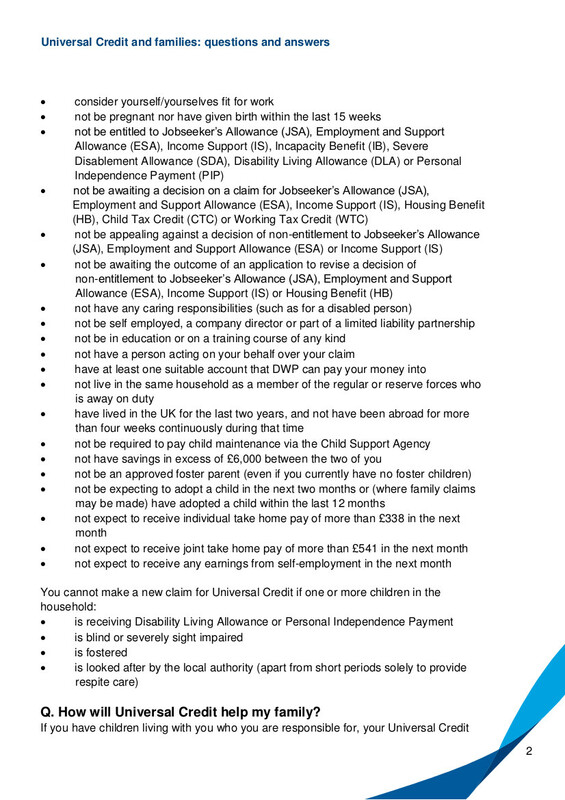 The UC factsheet from the Department of Work and Pensions dated August 2015 also says that people can’t make claims for Universal Credit if they expect to receive any earnings from self-employment in the next month OR if one or more children in the household is receiving Disability Living Allowance or Personal Independence Payment. 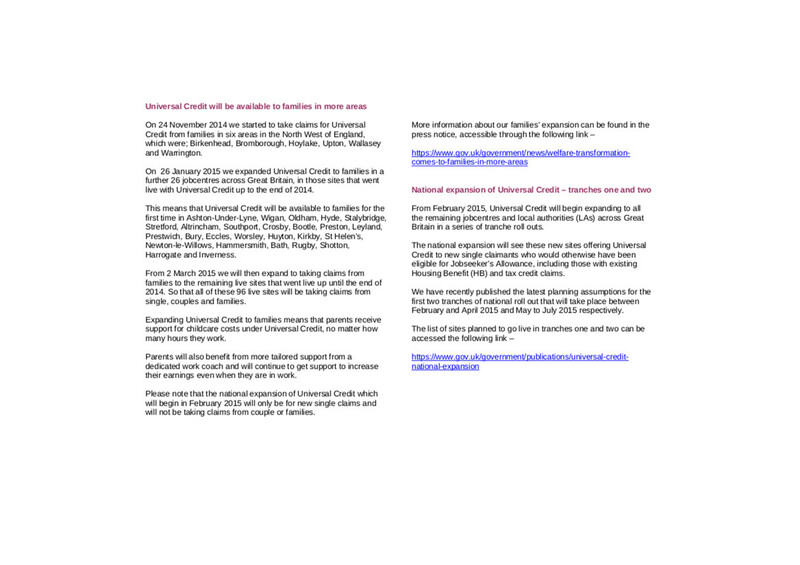 This entry was posted in Uncategorized and tagged Department Work and Pensions, DWP, families, Gingerbread, JobCentres, lone parents, Revenue and Benefits, single parents, Universal Credit on October 20, 2015 by Fiona Nicholson.